How does going to the gym help in other areas of life? 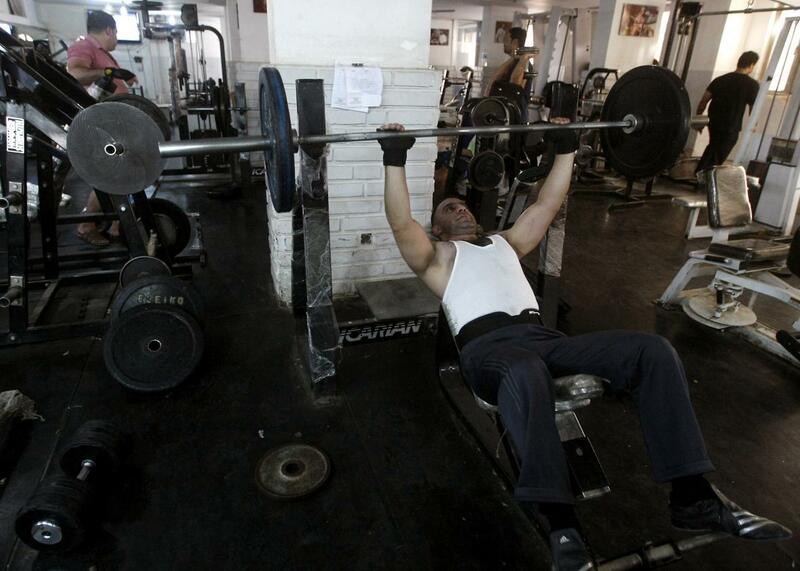 An Iraqi man lifts weights at a gym in Baghdad in 2012. When people see me, they assume fitness is my entire life. All I do is lift weights. I’m a meathead. What a lot of people don’t know is that fitness is the rhythm and schedule upon which I build the rest of my life, my interests, my hobbies, my passions, and my career. Being physically fit requires consistency and discipline. It demands that you do what you say you’re going to do, that you are on time and focused, that you keep your goals top of mind, and most importantly that you follow through. I built a physique out of nothing. I started with straight skin and bones, weighing less than 100 lbs as an 18-year-old. Every single muscle you see on my body I earned. I worked for it. I put it there. It wasn’t handed to me. I wasn’t born that way. I created it. When you go through that process of physical development, it is impossible for the same mentality not to begin to drip over into other areas of your life. You start setting goals for everything. You start pushing yourself with everything. You start challenging yourself. You start reaching higher. You start to realize that reaching your dreams isn’t a privilege handed to a select few. It is a process, day in and day out. When I started to lift weights seriously, my entire life changed. I went from being a straight-C student in high school to graduating college at the top of my class with honor credits. (And yes, while I was studying creative writing, I still had to take math and science courses, and I aced those too.) Why? Because I wanted to see if I could do it. I wanted to push myself. I went from being terrified to talking to girls to learning how to approach any girl I wanted. Why? Because I wanted to see if I had the confidence to do it. I wanted to push myself. I went from being lazy, undisciplined, and unfocused to being overly ambitious, hyperdisciplined, and extremely focused. I started multiple ventures on my own. I started tapping into my entrepreneurial spirit. I started taking more and more risks. Why? Because I wanted to see if I could do it. I wanted to push myself. A lot of people treat the gym as a means to an end. It’s a place where you can go get some biceps and abs and have a few unintelligent females ogle over your physique. I don’t see the gym that way. I see it as a place where you can practice, over and over again, the habit of setting a goal for yourself and then reaching it, of doing what you set out to do. I go to the gym to build my body, sure, but I also go to build my mind. I go to test my discipline and refine my focus. And no matter how busy I get, I always keep one foot in the gym, because it’s those fundamental qualities that have ultimately made me successful in every other area of my life. Focus takes practice. Discipline takes practice. Persistence takes practice. Consistency takes practice. The gym is a great place to practice these things. Bodybuilding: What are some good precautions to take in order to prevent an injury while muscle building? Life: Which of the habits that you’ve adopted has done the most to improve your life? Tips and hacks for everyday life: What are common activities people get wrong every day but don’t know it?